We recently shot our first campaign shoot ahead of our launch in the spring! If you didn't catch the takeover on our Instagram Stories or SnapChat, we have pulled together the highlights of the shoot so you can have more of a sneak peak into what went down. Make sure you keep your eye on our Instagram and Facebook for all the news and competitions that we will have coming up! Nice and early start for a Sunday so coffee is key! Grabbed coffees for the whole team and arrive on set at the studio where music is pumping and everyone is raring to go! Our gorgeous models arrive for hair and make up. Make-up artist Jess created four unique looks for the campaign ranging from candy cute to festival queen using produces from MAC, NARS, Anastasia Beverly Hills and illamasqua. We had serious make up bag envy! Lori Waite was on hand for all touch ups and hair styling. The girls were looking amazing! All props are out and ready for action, outfits are all steamed and hung including the gorgeous pieces from Claudia Pink, Missguided, PLT, Soul Sergeants, Burnt Soul Clothing and Bottle Blonde Studio. One last run through with all of the team and another coffee run and we’re all good to go. Lights, camera, action. 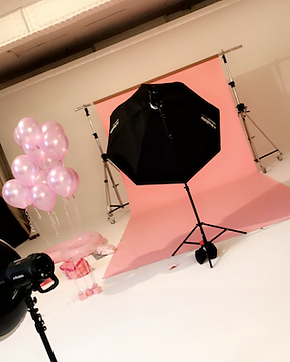 This is where the fun really starts, candy, unicorns, bubbles & balloons, the girls are working the camera and everyone is loving the Glossy Pop. The Frugly Sisters arrive!! No makeup needed as they are flawless. 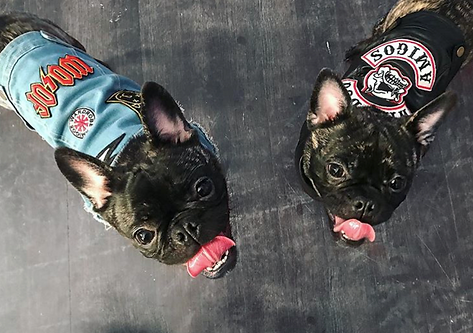 Yoko and Thora, Frug sisters are ready for their big part. We have a couple of diva moments but, when you’re this fabulous, it’s to be expected. Our lovely models have a quick outfit change and out comes our Motorbike. Rock chicks here we go. It’s time for lunch, a quick bite and a play with Yoko and Thora before they get escorted home for their well-deserved nap. Disco fever. Disco Balls, metallics and all things shiney. Our girls are working it and everyone has stars in their eyes at how incredible the set looks and how perfect the images are showing. AND……..Another coffee run. Our girls at The Gypsy Shrine turn up to Turn Up our ladies. It’s time for the festival look and it really wouldn’t be complete without all the glitter and gems. We stand and watch in amazement as The Gypsy Shrine transform our ladies in to dazzling goddesses! And that’s a wrap! What a fantastic day. Everyone involved worked so hard to make sure that we got all of the looks that we needed. We are SO excited to show you all of the looks and unveil the Glossy Pop!